Watkins' latest effort is an interesting one. The album is divided into two sets. The odd numbered tracks are "introspective" in style with little or no rhythm section, and keyboards are primarily responsible for all the tones. The even numbered tracks are the more "rhythmic" tracks. They tend to have bass, drums, and other instruments and, you got it, a more rhythmic feel. Curiously, much of the percussion has a distinctly Latin feel to it. I don't really remember his previous albums as sounding that way. Watkins is certainly a great keyboard player. Beginning with his work in Happy the Man, Watkins has continually created interesting and unique sounding compositions and is a master at eliciting different moods. His chord progressions and voicings are all his own. However, two aspects of many of his prior solo recordings have bothered me a little. The use of drum machines on some tracks hasn't really sounded that great. And some of the tracks have been a little too New Agey for my tastes. On Holographic Tapestries he avoids these two issues for the most part. While he clearly uses some programmed drums, they generally have a quite realistic and natural sound. As for the second point, while some tracks are surely ambient in nature, they don't have a typical New Age sound to them. He mentions that some of tracks on the album were written with Happy the Man in mind (Will that reunion ever happen? ), and those tracks really do sound appropriate in that context. You can easily picture HtM performing those selected pieces, and they would sound great too! The recording quality of the entire album is very clean and clear. There's even some cool guitar work — especially the melody lines on "The Traveler." Fans of HtM, Camel, and most keyboard players will almost certainly appreciate this album. Now Kit, let's hear those HtM-intended songs with the entire band. They would sound great! Please? Since his days with Happy The Man and Camel, Watkins' solo career has been anything but a predictable journey, venturing into ambient soundscapes, soothing impressionistic sorties, programmed experimental pop, classical piano covers, and much more. The two most typical styles found in his work might be thought of as atmospheric keyboard-driven instrumental pop, and a refined impressionistic neo-classical... or as Kit refers to them in his liner notes: The overtly rhythmic, and the introspective. This latest album — all 74 minutes of it, delivers plenty of both, and perhaps contains some of his most refined compositions to date. Interestingly enough, the tracks are arranged into two 'programs' — the odd numbered tracks, which comprise mostly the introspective neo-classical based pieces, and the even numbered tracks, which are the more rhythmic pop based numbers. To listen to the entire album beginning to end, every piece of the puzzle fits together perfectly into a smooth continuum. But if the odd and even numbered tracks are taken separately, the effect is like listening to two completely different albums. Watkins plays all instruments — generally keyboard based synths, sequencers and samplers, some flute and guitar. The drum sequencers, which might usually tend to annoy this listener, are (I must admit!) extremely well programmed, and are used sparingly enough to not overwhelm. Overall, from my perspective this is Kit's best effort since Azure, yet by comparison it's far more accessible and less dreamy, and stylistically comparable to his more recent efforts. In addition, Watkins has included some short poems and computer generated art in the booklet that correspond to some of the tunes. Overall, this is a very solid effort that I'm sure most will enjoy — and if there is anyone who isn't familiar with Watkins' solo material by now, this is probably a good album with which to make that acquaintance. 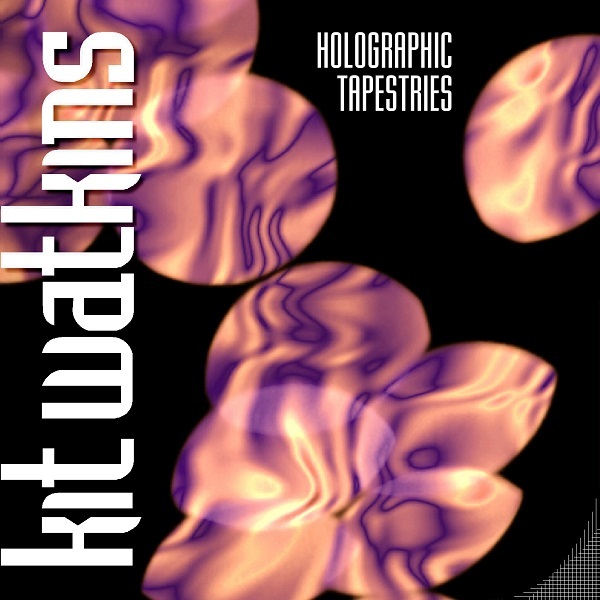 Kit Watkins' newest effort is one of those CDs created so that the tracks can be played in different orders. Watkins suggests besides playing it all the way through you can also program your player to "Set 1" and "Set 2" separately by programming either the odd or even tracks. The "Set 1" tracks are supposedly more introspective, the "Set 2"s are more rhythmically inclined. Watkins has long proven his genius and musical diversity over a long string of albums. Tapestries is another finely crafted album with many of the tracks composed with Happy the Man in mind. These tracks remind one of the more reflective moments of that group and fit here nicely. I like the way it flows as an album better than splitting the 75 minutes into sets. Both sets have tracks close in style to their opposite sets and while set 1 is generally more mellow and ambient, there are tracks that are more rhythmic. The same can be said (although vice versa) of set 2. Watkins has an obvious talent for making the synthetic sound warm and human. His influences range far and wide, from classical to ambient and progressive rock to pop. However he fuses these, it's always done originally and dynamically, full of vitality and effervescence. Another great and different album — keep them coming, Kit. Battles shows us "The Yabba"